After the recession, many businesses saw an increase in Employment Practices Liability (EPL) claims, whether it was claims of discrimination, wrongful termination allegations, or retaliation. Unfortunately, even if claims are unfounded, these businesses owners could incur significant costs in the form of legal fees and defense costs. For your clients in the Community Action sector, this could be detrimental, as most of their businesses will be non-profit and therefore unequipped to handle these potentially large costs. So what can your clients do to protect themselves against EPL lawsuits and claims? First off, it’s important for your clients to know that the leading charge filed in EPL cases is claims of racial discrimination. This is according to a 2009 report by the EEOC. Next comes claims of age-based discrimination, followed by allegations of discrimination against disabled employees. To protect against these claims, your clients have certain tasks they must perform. Distributing a thorough employee handbook is the first step. Typically it is not important if the handbook is long or detailed; rather it is important what topics are in it. In addition to containing the company’s equal employment opportunity policy, it should also provide employees with an internal mechanism to complain about discrimination or harassment. The reason for this is that doing so may head off a lawsuit or legal claim before it occurs. 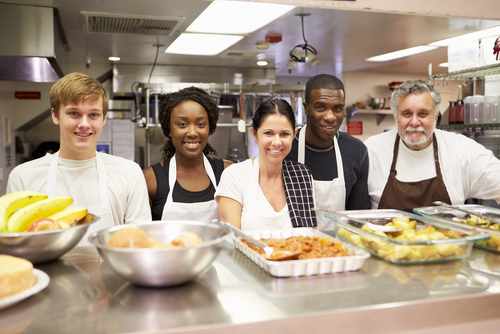 Your community action clients should also develop a code of ethics policy for their business. This policy should tell employees what they shouldn’t do; such as giving kickbacks or engaging in other ethical violations. In addition, an anti-retaliation provision should be introduced stating that it’s the policy of the company not to retaliate against employees over any accusation of discrimination or harassment. Lastly, your clients should institute employee handbook auditing procedures. Doing so and updating the handbook with changed in the law can help in the defense of a business if faced with an EPL claim. By staying up to date and knowing what to include in a thorough employee handbook, your community action agency clients just may be able to reduce their EPL risks. At Care Providers Insurance Services for Community Action Agencies, we understand the unique risks faced by your Non Profit and social service clients. Over the years Care Providers’ exclusive program has expanded to include many non-profit classes, including Community Action Agencies (CAAs) – vital to our nation’s continued fight against poverty. Please contact us today for more information at 855-790-7379.